Congratulations, you got engaged! Now you just have to…plan the whole wedding. Where to begin? There are so many choices to make! From the flowers to the favors and everything else in between, it can make you want to throw in the towel altogether. Brides, take a deep breath. We’ve got some good news for you! We have been so inspired by the current wedding trends: Simple, vintage elegance and natural beauty. 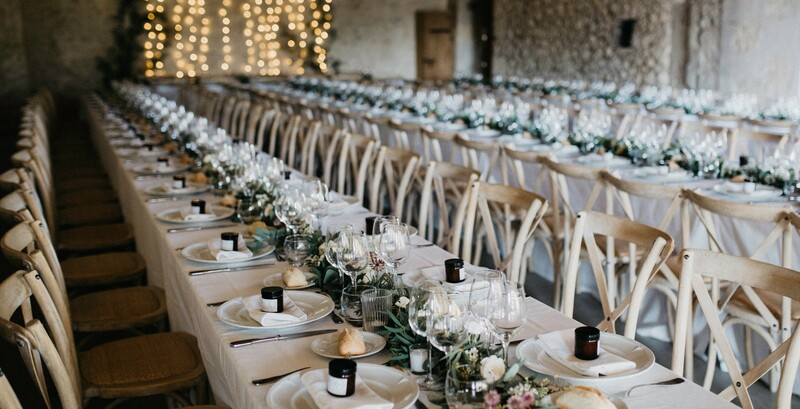 Brides out there who are looking to create a beautiful event with a modest budget have no shortage of inspiration. These trends works for a wedding of any size, from a huge party to a small elopement! If you feel like you’re running on dry, both emotionally and financially, we have put together some photos and ideas to inspire you! This wedding season’s inspiration? Natural Beauty and Vintage Elegance! We’re not seeing much bright, artificial colors this season. Bright reds, purples, yellows, and oranges are being substituted for their more muted, natural versions. 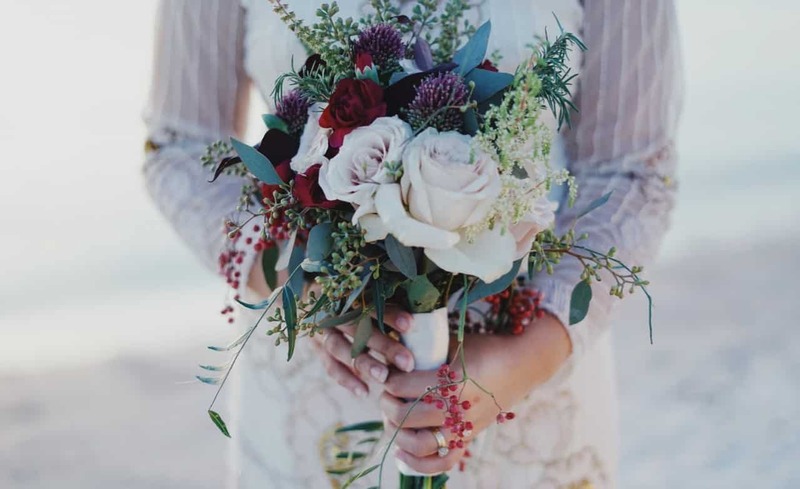 Many brides are opting out of strong colors altogether and sticking with shades of brown, cream, and taupe for flowers, linens, and even bridesmaid dresses. Brides are starting to think outside of tradition when it comes to flowers. Bouquets and centerpieces are filled less with roses and carnations and more with things like succulents, wildflowers, and greenery. 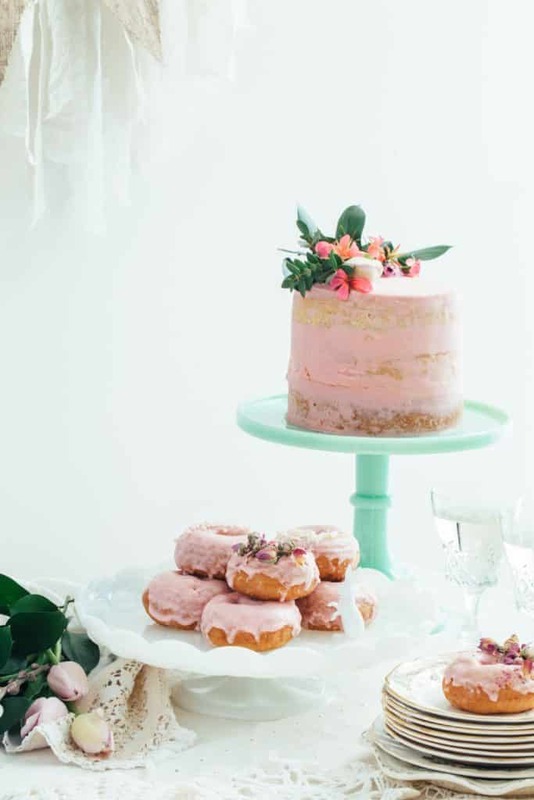 There is something simply charming about the current wedding cake and dessert inspiration we’ve been seeing. Overly decorated cakes have been replaced with naked cakes and rustic desserts. Tweed and lace are a definite trend for fall fashion in general. These design choices have spilled over into wedding fashion, as well. 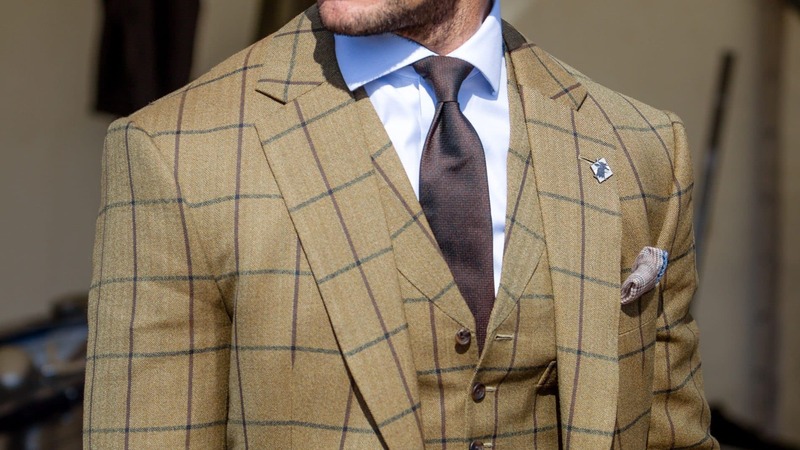 Not every bride wants their groom in head-to-toe tweed, but adding in small touches, such as a waistcoat or vest can add a classy vintage feel. Lace fabrics and finishes have many uses and can carry through the entire day, from the dress to the table decor, to favors and the cake, too! Some brides are steering away from full, sit down meals and moving towards casual dining experiences. This type of meal automatically gives the event a more casual and relaxed feel. 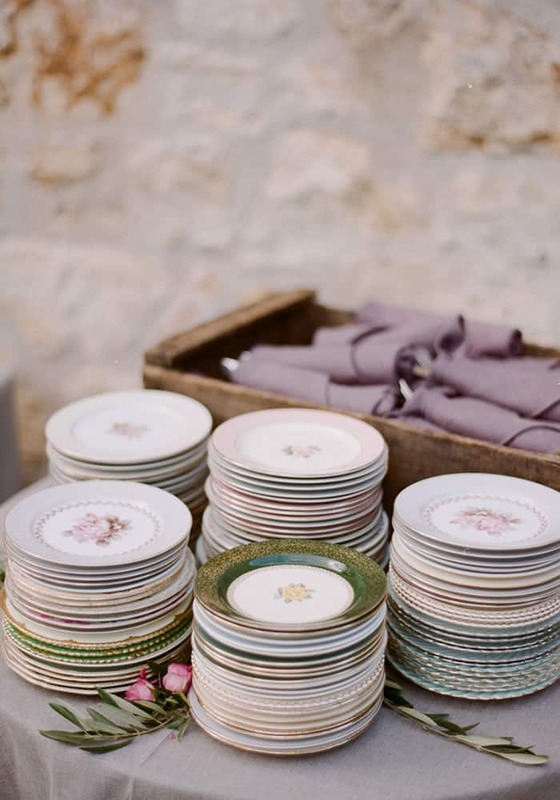 Even if you plan to have a sit down dinner, we love the idea of using mismatched china to bring that feeling of vintage authenticity. Have you been on Instagram lately? Everything is so over-touched and nothing feels very real. Because of this, we find that people are responding by bringing some authenticity back into their lives. More and more couples are choosing venues that give an authentically beautiful backdrop to their special day, without anything else required. Ballrooms are being replaced by gardens, vineyards, and rustic barns. If you’re looking for a beautiful garden for your wedding, check out our gardens by clicking here! What do you think? Will you be using some of these inspirational ideas for your special day? 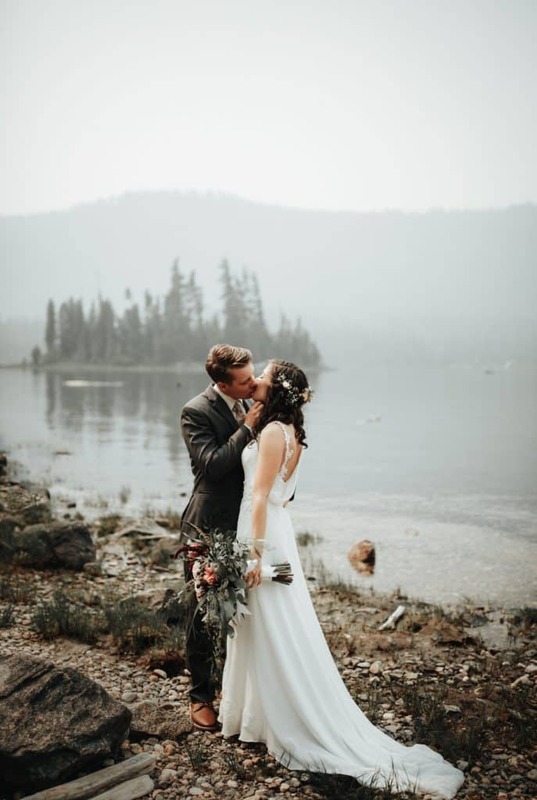 This entry was posted in Elopement, Tips, Weddings and tagged 2018, fall wedding, inspiration, photos by joy. Bookmark the permalink.